Having grown up in Heilwood, I was totally unaware of the history of the community. I played in old foundations and roamed through dark, tumble-down buildings, oblivious to their exact nature or original purpose – other than a great place to play hide-and-seek. Even while attending Indiana University of Pennsylvania (then known as Indiana State Teachers College), and doing research for a paper called “A Walking Tour of Heilwood,” the significance of the town just didn’t hit me… until now! 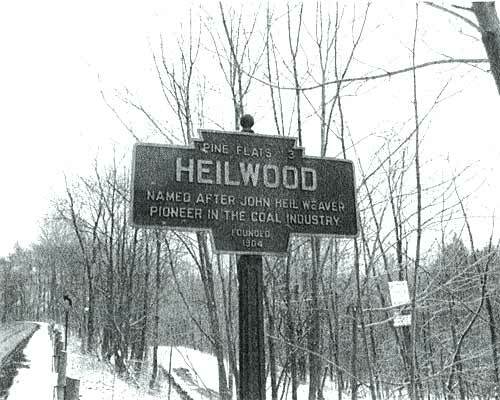 Heilwood has a rich historical past, some of which still lies in the foundations and ruins of numerous coal mining facilities – silent, unknown symbols of the past. To rediscover this past, I call upon residents, former residents, and any interested people who may have stories, memories, or photographs of the community to share them with the world through this website. Together, these individual stories, memories, and photographs can collectively be used to rediscover and recreate the past history of the community of Heilwood. This will enable it to be passed on to our children, grandchildren, and great-grandchildren. It is important that we do this to leave something for the future generations!